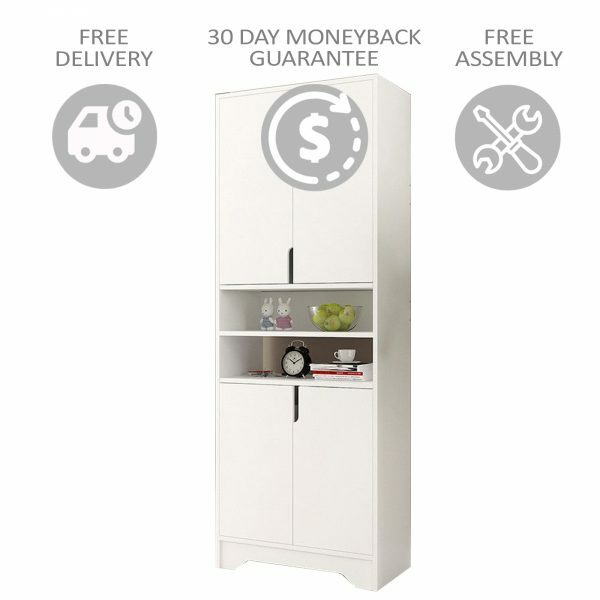 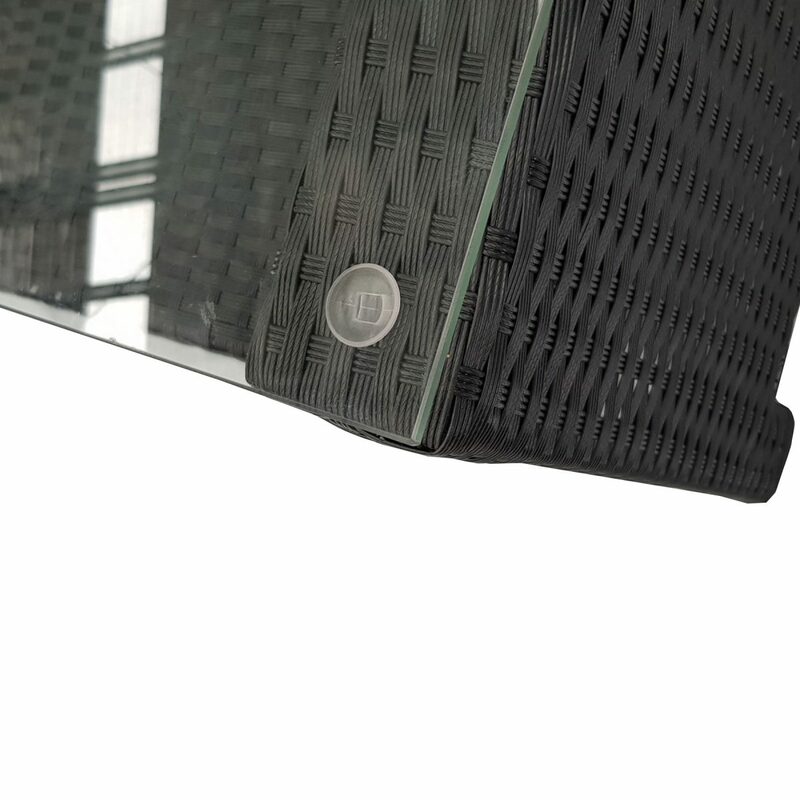 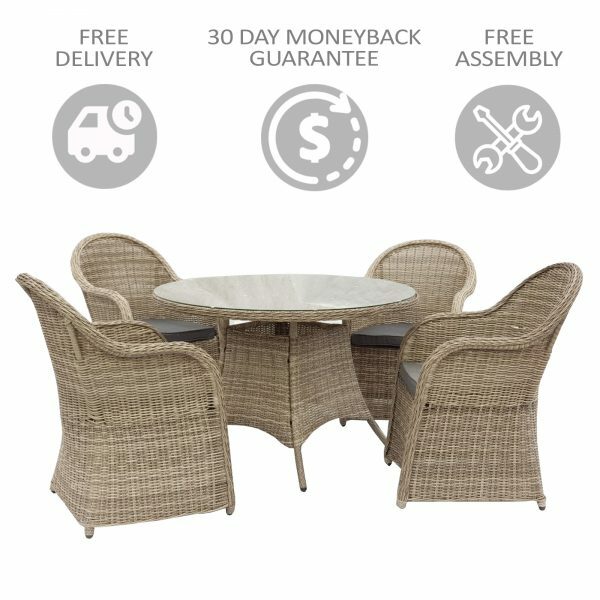 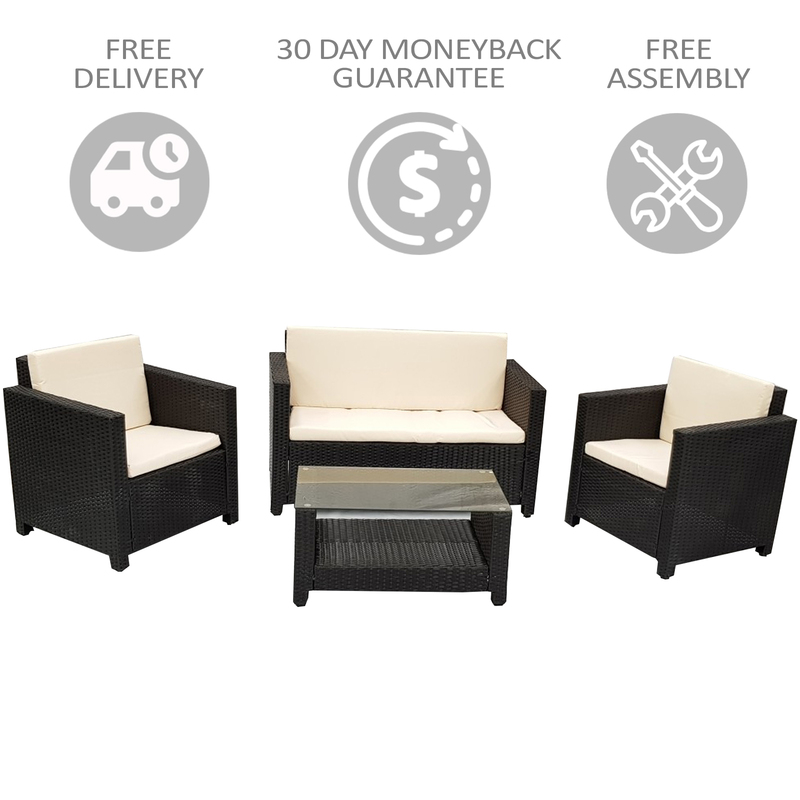 Comes in 4 pieces and easily configured to fit your outdoor space. 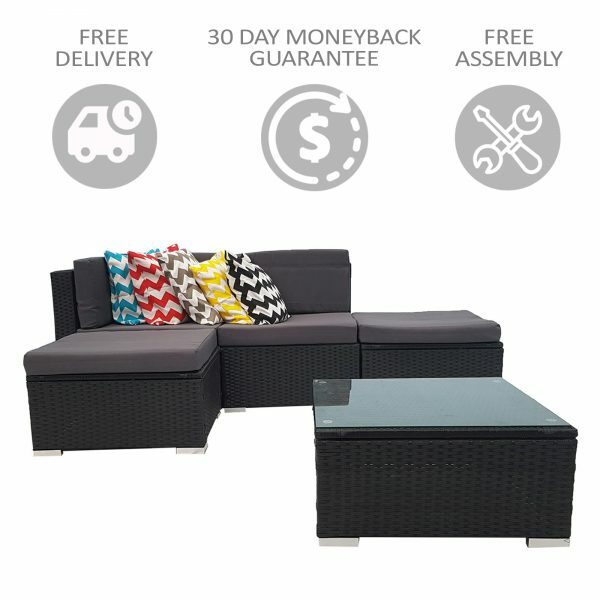 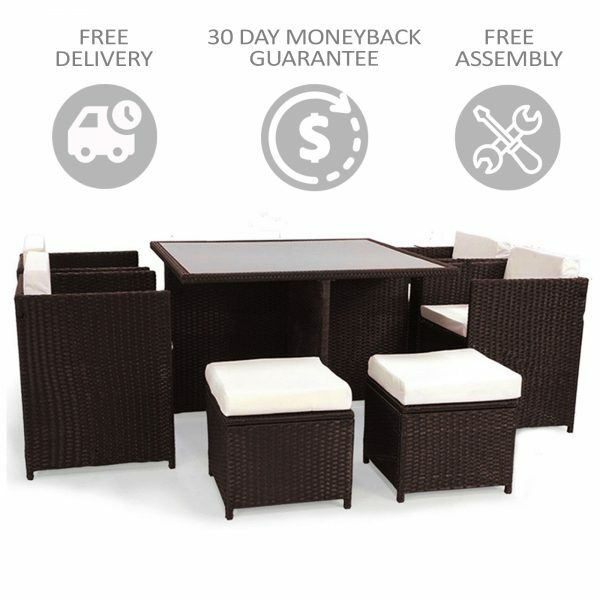 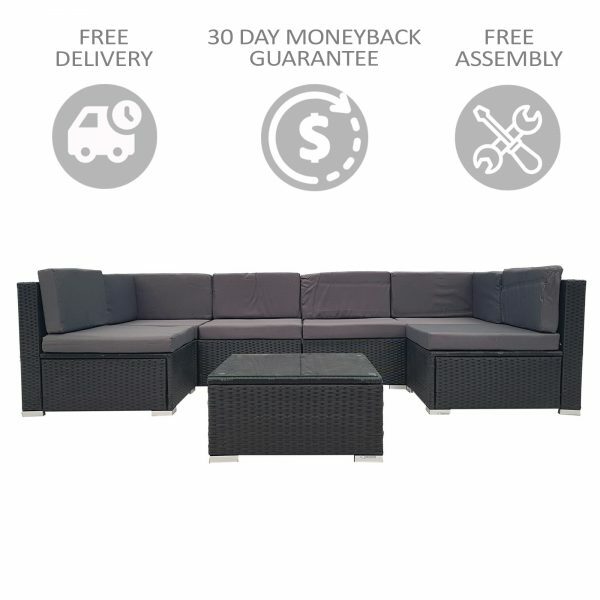 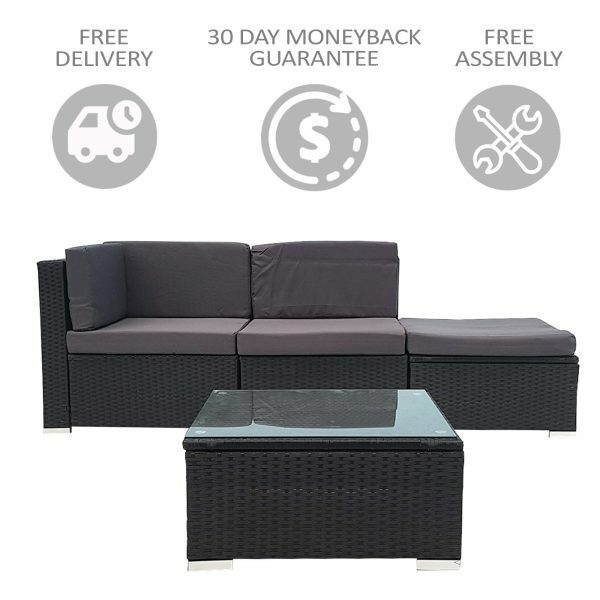 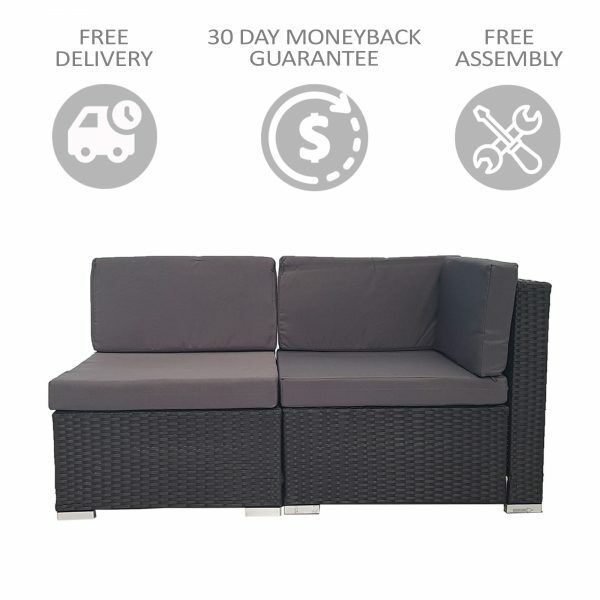 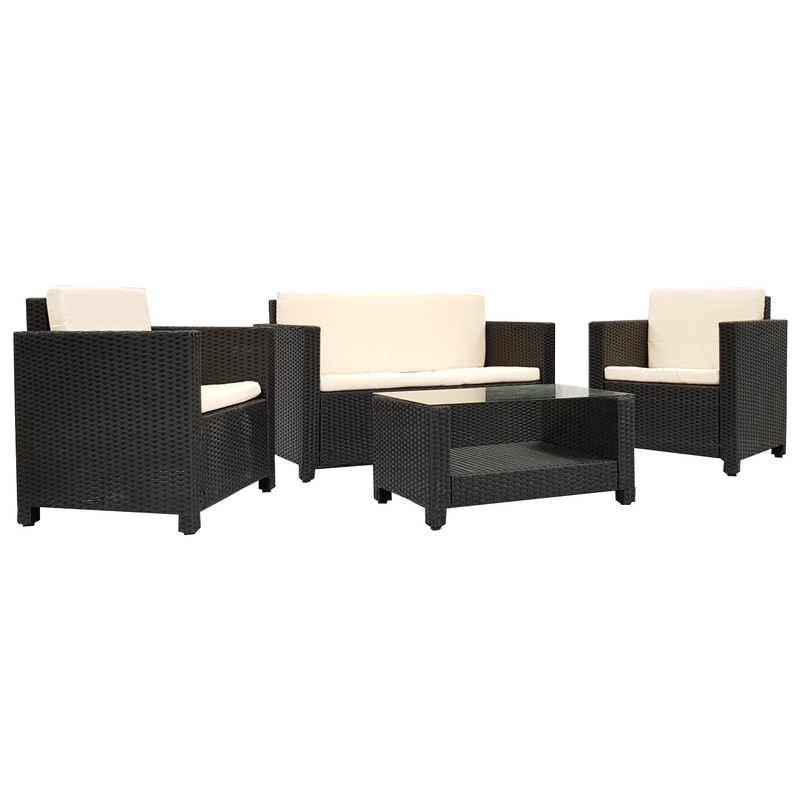 Relax in comfort and style with the stunning Cayos 4 Piece Outdoor Lounge Setting. 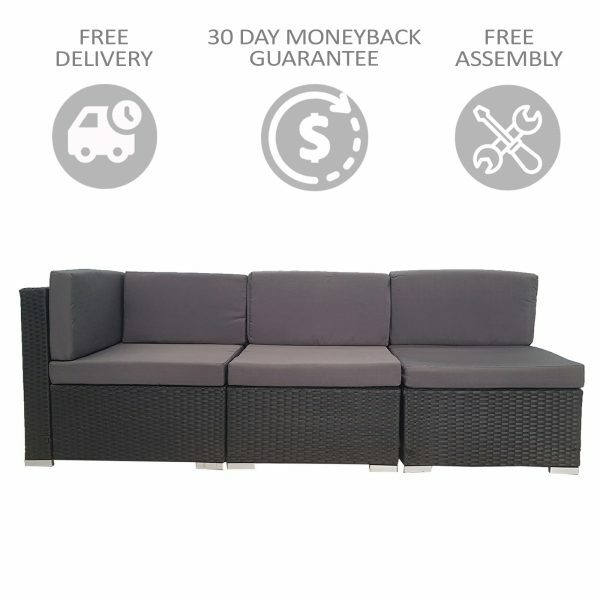 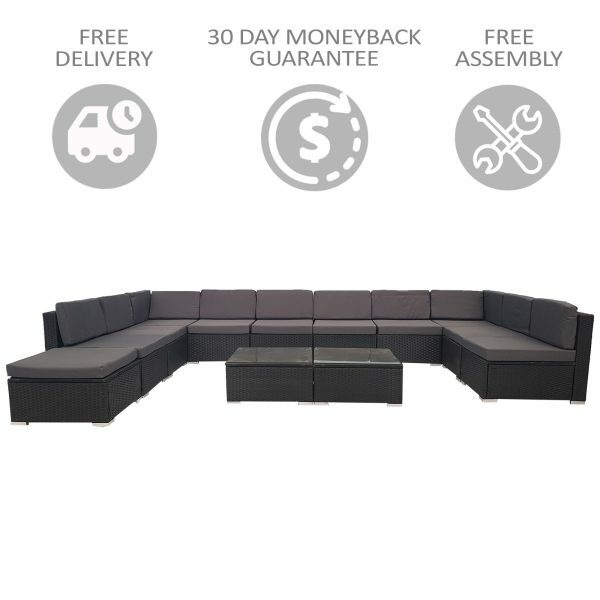 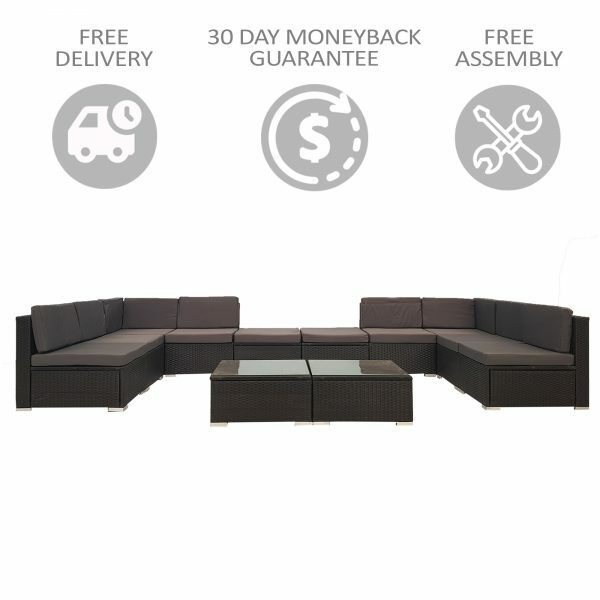 This sofa set is sleek in design and a great modern outdoor furniture solution. 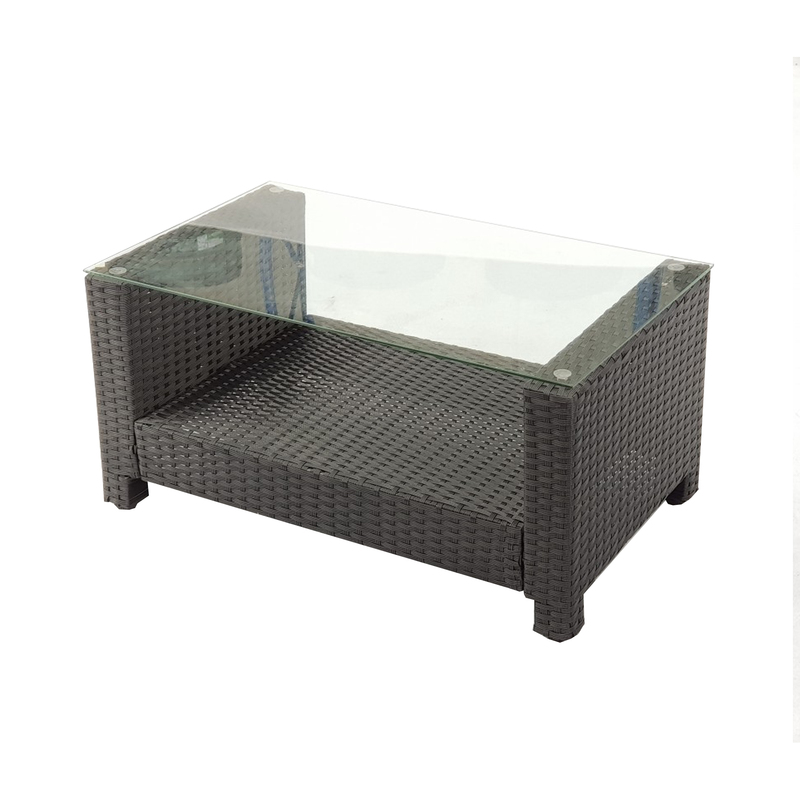 This setting generously seats up to 4 people comfortably and the coffee table has a shelf for additional storage. 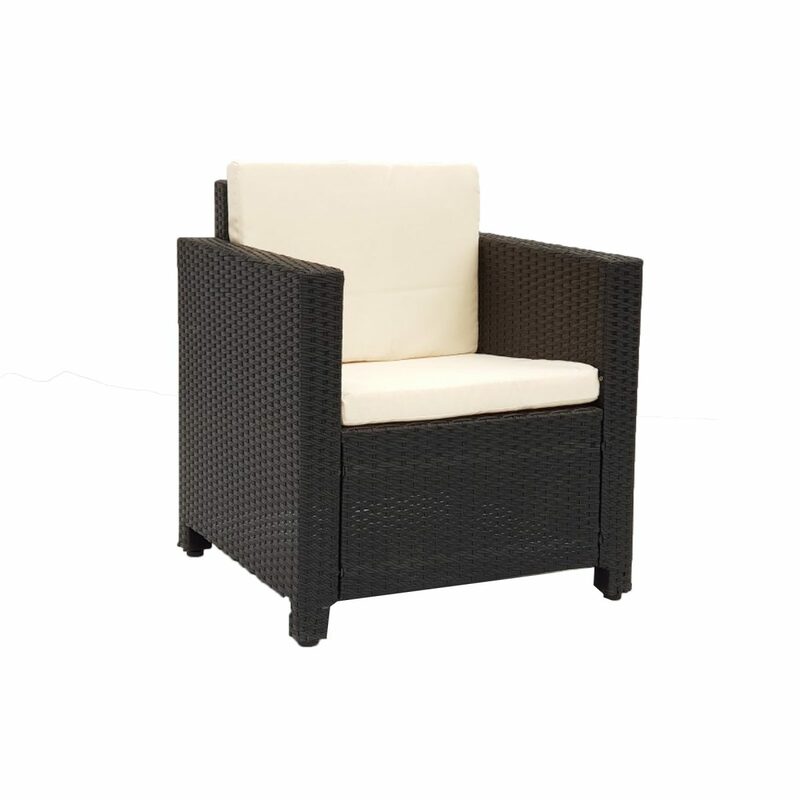 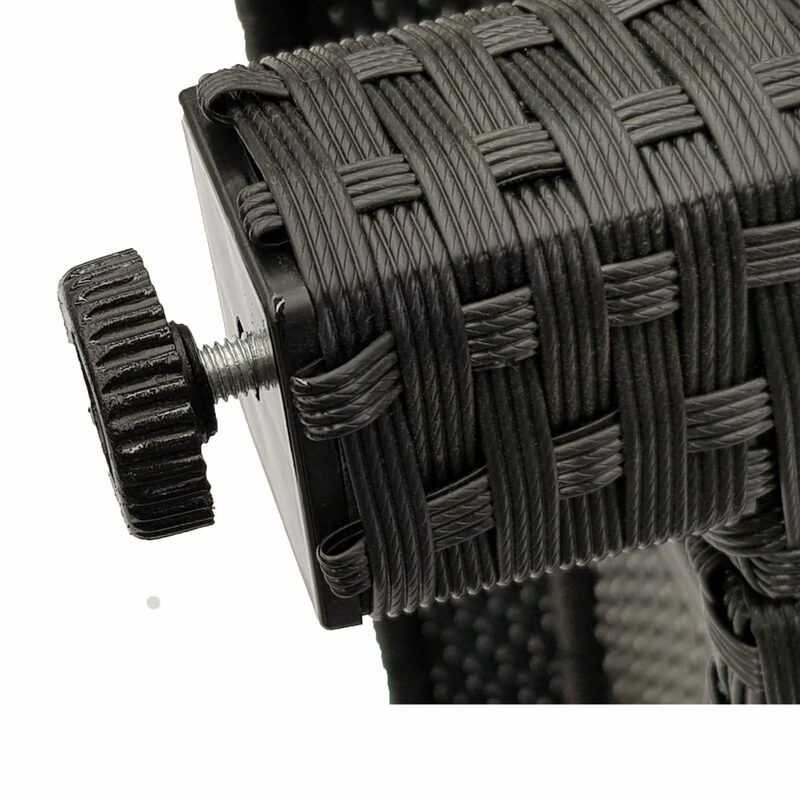 This durable wicker setting comes in two colours so there will be no problem matching this setting to your existing décor. 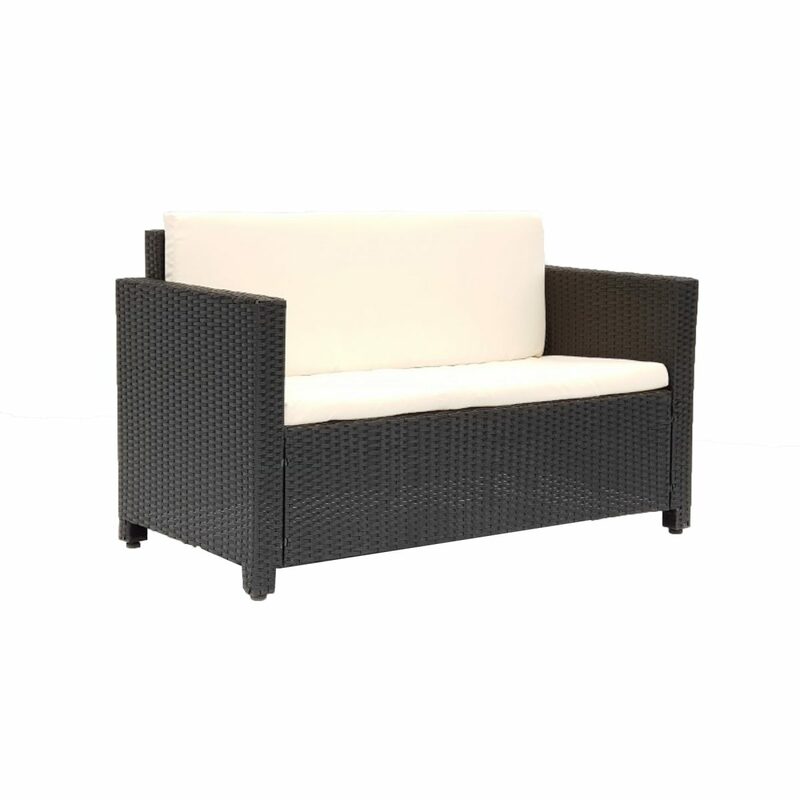 The Cayos is the small setting that is big on style!